I’ve always been curious about my ancestors’ stories and have always sought to know more about those who built our country and left their memories in print: remembered nowadays – and perhaps only briefly – by schoolchildren in history classes. During a debate, a theme about ancient villages aroused my curiosity. 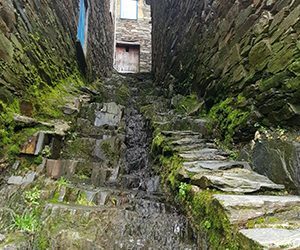 Apparently, these villages were lost in time, their ancient streets narrow and bumpy, their people mostly old living ever with curiosity in their eyes and tenderness in their hands. Although the description seemed too perfect, there was something about these villages that made me curious and urged me to pack and go discover them. I’ve always followed my instincts: there was something mysterious about these villages which I just could not let go. When I arrived, I was struck by the incredible synergy between rurality and tourism. All these villages had one thing in common: tranquility and a feeling of comforting shelter, even when overshadowed by the slopes of a mountain range. If I tried to sum up the essence of these villages in one phrase, it would be: “ Anything you need, we are here for you”. Such villages represent some of the most remote, hidden and often unknown places in Portugal. Many of them, with just a couple of dozen habitants, are beginning to see their centuries-old history finally acknowledged. 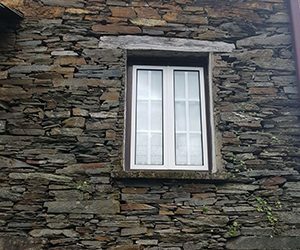 Schist culture is becoming trendy, to the point where I actually considered a traditional little shale house for myself! 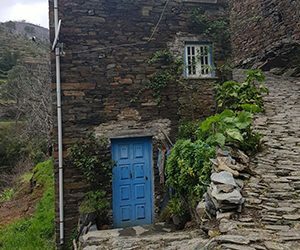 Many of these cottages have a cosy, rustic appearance, some with strong colours on doors and windows and balconies covered with eye-catching flowers. I’ve entered a different era. Modern-day city pollution had been left behind. The noise of traffic is almost entirely absent, giving way to the pure background sounds of nature. 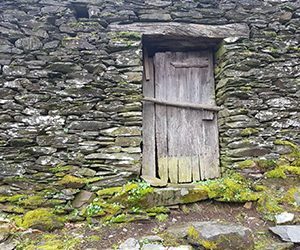 In some of these villages, a new community sense is arising from people, often lifelong city-dwellers, who have restored old stone properties with their own hands, bringing new life to the area. Portugal is home to an amazing number of “secret” villages, ancient traditions and a noble history, that many had thought long gone. But between the green of the mountain and transparent blue of the water, you will still hear the strange accent of the people who’ve always lived there. Relics that have been hidden for years reveal a remarkable, unique destination, hidden in areas long-considered among the most backward in Portugal. 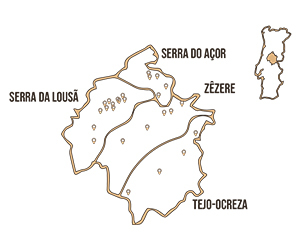 A total of twenty-seven schist Villages are distributed mainly in the centre of the country, many of them restored and rich in the cultural patrimony of Portugal. 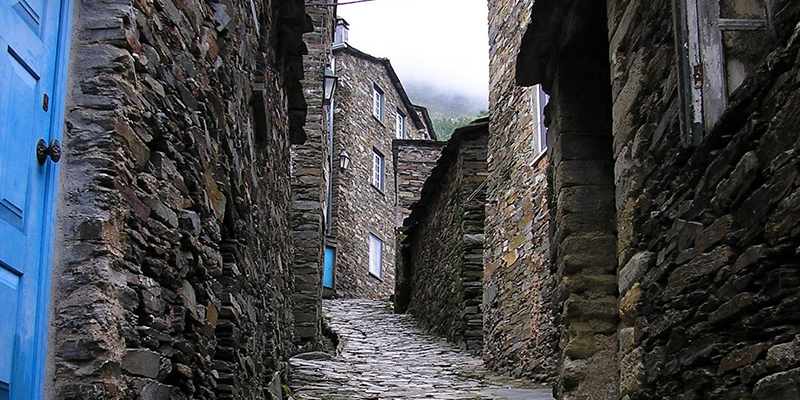 Visiting the schist villages is an exchange of experiences. Many of the original inhabitants have a life story to tell. One of them described these places as having souls. The most apt description of such villages might then be “destination with a soul”. The Traveler Hostess is the result of a personality default with an area of expertise. Born in Portugal, I have lived (and traveled) in several other countries. My biggest pleasure was always to host my visiting friends and open-heartedly show them the local perception that I had discovered. The pleasure and open-heartedness were translated into my modus operandi when I started working in Tourism. Every time I work on a client’s program, I introduce either a local activity or take them to a different and unexpected place. Clients are just as special as friends, and I believe this has made a difference all along. When I moved back to Portugal, I know I wanted to welcome people to my country, but this time and entirely my way. The main goal is to allow travelers to discover a new country with the help of a friend who’s hosting the entire trip, introducing places, flavours, and experiences only locals know. And this is how The Traveler Hostess was born. My notion of success also means to be surrounded by the best suppliers in all matières, so we can satisfy all travelers’ needs. At this stage, we can call ourselves a multidisciplinary team, able to meet your demands, but most important, to share how we see the country, our experience, our knowledge! The familiar and also the traditional side of Portugal! You are our guest and we meet you in person, to host you and share our country, our views, our traditions! We are taking the tailor-made service to whole new (and greater) level! So join us on a ride full of magnificent boutique charm experiences.